President Cyril Ramaphosa has been disappointingly slow to embrace the private sector in SA, political analyst Daniel Silke said on Friday. He was one of the presenters at an international retirement seminar hosted by Sovereign Trust SA in Cape Town. "There is an opportunity for the SA government to embrace the private sector. Ramaphosa promised in his State of the Nation address to institute a process to have a presidential economic advisory committee and to take decision making beyond just the ANC. We have not seen much of that. It has been extremely slow," said Silke. 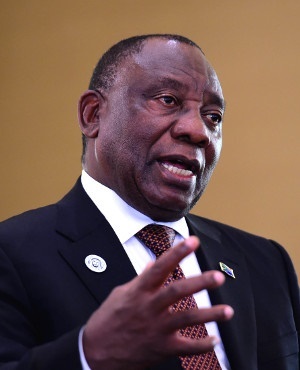 "If there is one thing Ramaphosa can do, it is getting on with the job of moving beyond the myopic just-ANC vision and rather reaching out to the private sector regarding the economy." He had not seen much evidence of Ramaphosa trying to rope in the private sector for much-needed efforts to bridge the gap between rich and poor. "The challenge for Ramaphosa is enormous. A balance is needed between redress and growth, the focus cannot be too much on redress," said Silke. "I think Ramaphosa can massage this process to find a balance once he gets over the barriers in his own political party. He would, however, first need to feel more secure in his own political party." "The current situation creates a degree of instability, even for investors. The jury is still out on whether SA will get it right." In Silke's view, the actions and statements of US President Donald Trump have negatively affected global economics and are among the biggest factor impacting SA's economy at the moment. "The trade wars will not help anybody. Emerging markets (EMs) are caught up in the new trade wars and new tariffs. Trump uses his authority and power to move beyond just US domestic issues." “That terrible word ‘contagion’ is coming back. EMs are under fire and there are a host of factors affecting EMs. We are in a sense locked into a perfect storm as all these factors combine together, for instance, issues relating to domestic and international politics and US interest rate decisions." On Friday ratings agency Moody's, in a new research report, said that South Africa was one of the emerging markets worst affected by the contagion caused by the slump in Turkey's economy. Silke noted that Bloomberg research shows that SA is among the top-5 most vulnerable EMs in the world. SA's government effectiveness rating is fairly low and inflation figures are creeping up. "If you do not have policy clarity, you get a stagnation of your own domestic economy. SA has not been able to take advantage of added interest in EMs. SA seems not to have understood the competitive environment for investments in the world."